Planning an event can be stressful…but it doesn’t have to be! 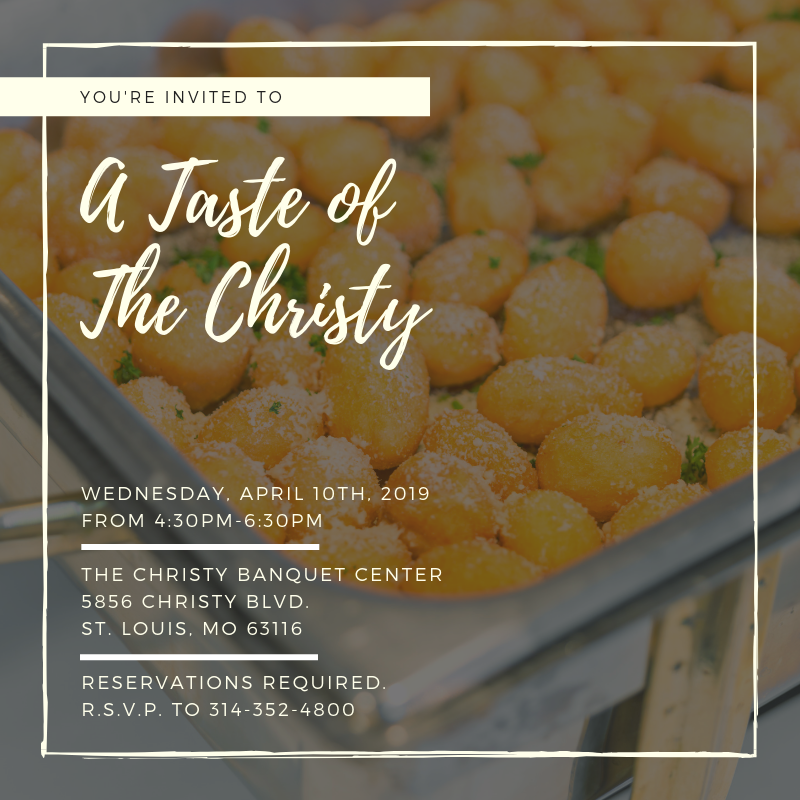 Our tasting is the perfect time to view our beautiful St. Louis location, sample some of our most popular dishes and discuss our all-inclusive packages with one of our Event Coordinators! When you choose The Christy, you will save both time and money. Already booked a venue for your event? Catering by The Christy, our off-premise catering division, offers the best in food service to any location! 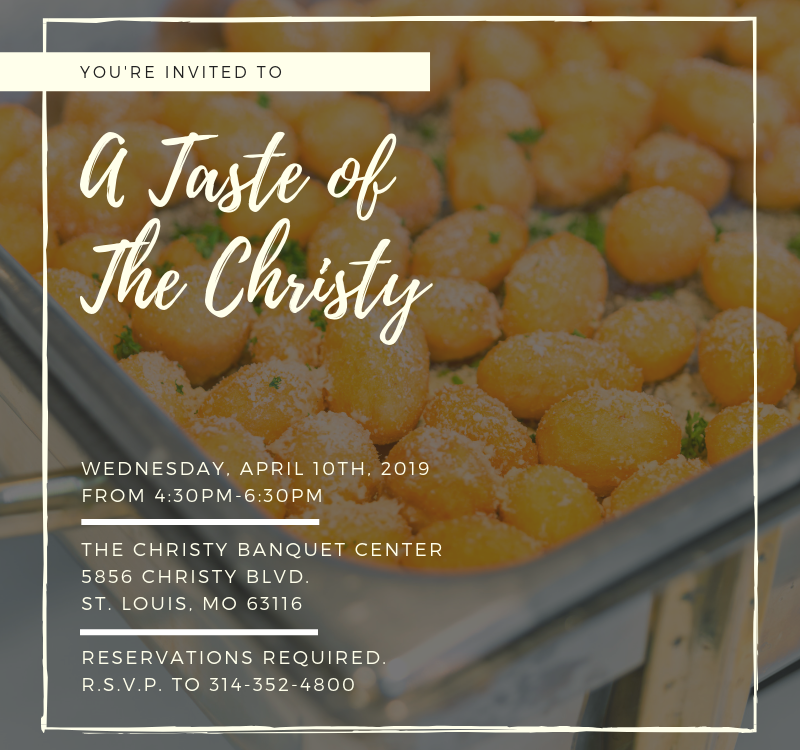 For more information regarding “A Taste of The Christy” or to RSVP, contact or call us today at 314-352-4800! We can’t wait to meet you soon!